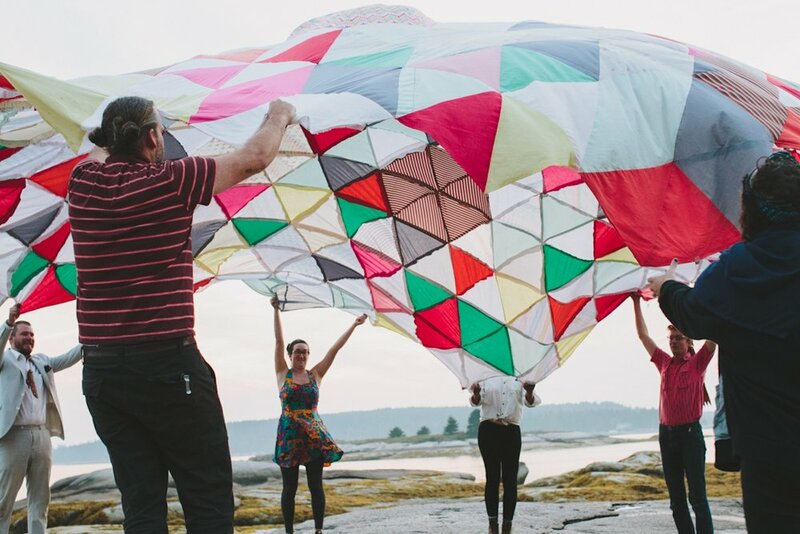 WE ARE RESPONSIBLE FOR OUR DREAMS is a nomadic platform for collective dreaming, shared experience, and utopic visioning. 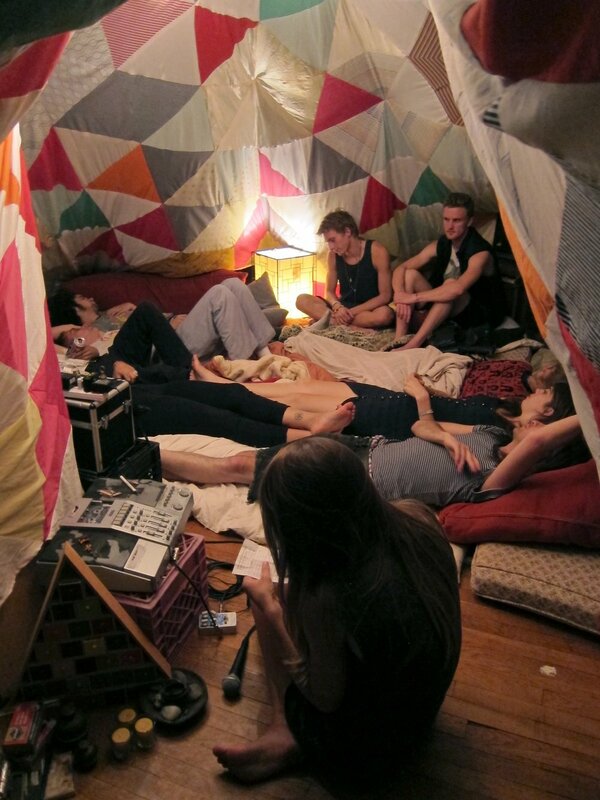 Participatory dream sessions take place under a 21'x21' tessellated blanket fort. 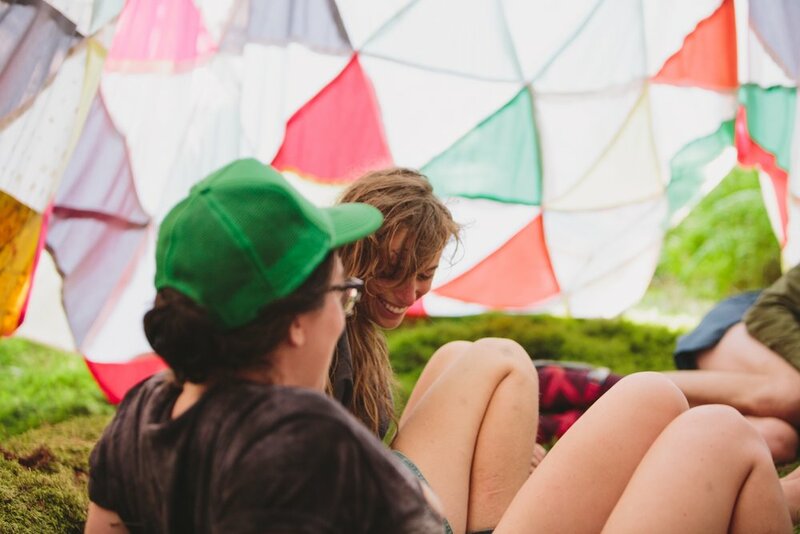 Over 30 dream sessions have been organized since July 2014, including overnight slumber parties, group discussions, live sound collages, classes, film screenings, picnics, “seeing” sessions, open social spaces, and sunrise group kirtan chants. 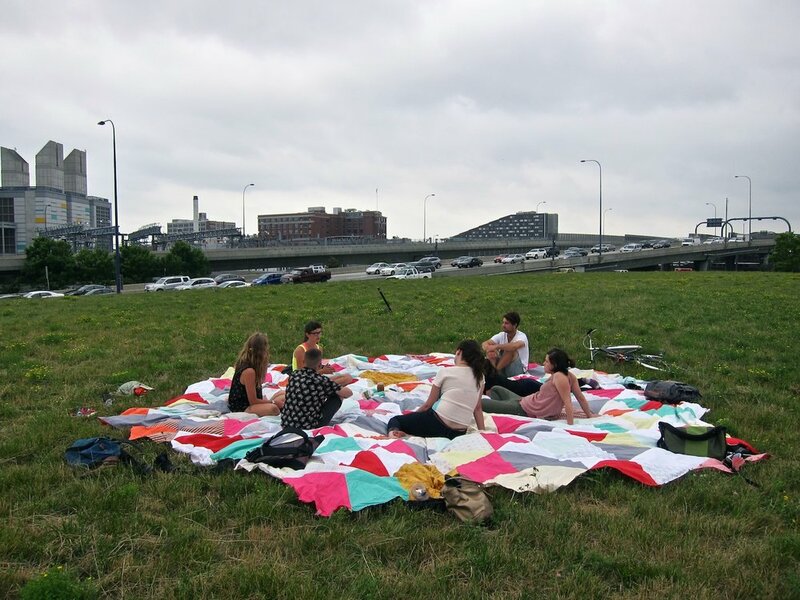 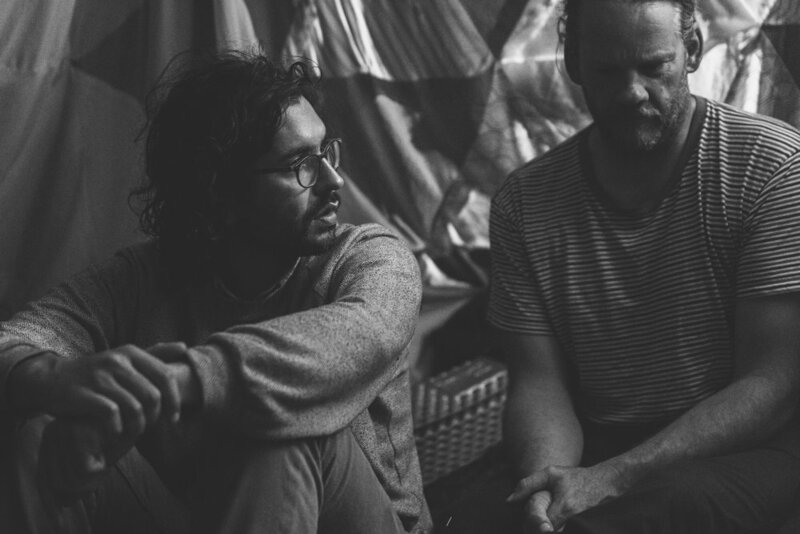 Dream sessions have occurred in private homes, art spaces, islands, universities, public parks, DIY basements, theaters, and beaches in Pittsburgh, Boston, Cambridge, Worcester, Providence, New York City, Martha’s Vineyard, Grand Rapids, Ann Arbor, and Maine. 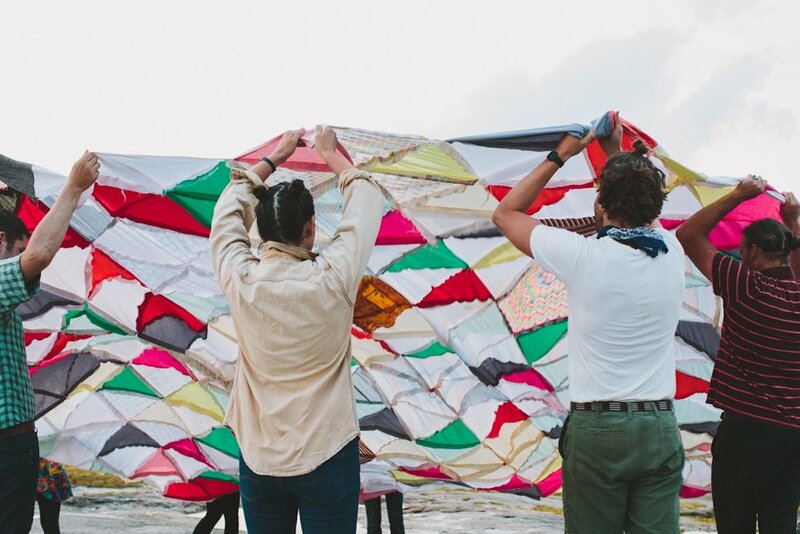 WE ARE RESPONSIBLE FOR OUR DREAMS packs into a suitcase and will continue to circulate around the world on perpetual tour.